The first step most will take into the venture of anabolic supplementation is the world of pro hormones or more appropriately, designer steroids (as most of the products although marketed as pro hormones, are in fact active steroids). While these are sold as supplements and are available to purchase online or over the counter, these are very potent supplements and often have the same or greater side effects/toxicity as “proper steroids”. Epistane and its clones (the epi compound of 2a,3a-epithio-17a-methyl-5a-androstan-17b-ol or 2a,3a-epithio-17a-methyl-etioallocholan-17b-ol) are one of the most popular pro hormone/designer steroids currently available on the market. 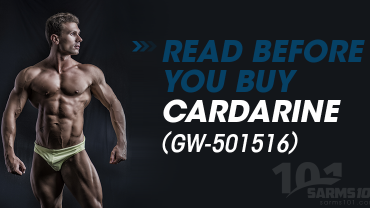 Along with Hdrol, it is commonly suggested as an ideal anabolic to use for inexpericened or first time users. Like Hdrol, Epi is noted by the majority of users for being slow to “kick in”, with results realy starting to show at around the 3rd week. Hence most cycles are run for 6 weeks and typically gains range from 8-15 lbs or 3-6kg on a 30-40mg dose. These gains are relatively lean, and with a good PCT protocol based on a prescription SERM like Nolva/Clomid, very keepable. However a major issue with Epi is that out of all the popular PH/DS’s available, Epi seems to be the most hit and miss when it comes to results. User reports suggest that you either get great results or sub par results with epi. It seems that some users are responders to epi and others are not, whereas most other PH/DS’s on the market give more consistant or uniform results across the board. As mentioned earlier, Epistane is a methylated compound hence has liver toxixity. 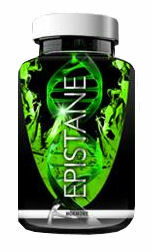 Epistane is milder for side effects is comparison is the other PH/DS’s on the market, however Back/Calf pumps are noted amongst many users which may cause extreme difficulty in some weightlfiting movements or Cardio. Of course other common PH/DS effects such as hair loss, libido loss and cholesterol imbalance are also concerns. Epistane causes significant suppression of the bodies own natural hormone production so a stringent PCT of a prescription SERM such as Nolva or Clomid is required to normalize LH and FSH production and to restart the leydig cells production of testosterone. Test boosters in addition to Nolva/Clomid are also recomended to help with libido and general well feeling in the important PCT period. A cortisol blocker like Lean Xtreme or a low dose 11-oxo is also often recomended. -There is no need for pre cycle supports such as Hawthorn berry. -There is no need for on cycle supports such as milk thistle for the liver, Policosanol or Red yeast rice for cholesterol etc. -Some supression may be present at doses of 25mg+ run for longer than 4 weeks, however a stringent PCT of prescription SERMs like Nolva or Clomid are not necessary. -High oral biovailabilty without the damage to your liver as with the methylated Epi. -Great sense of well being while on, with out the agression which can often detrimentally impact users daily lifes). -No need for a long time period off between cycles, the recomended time of period for Tren would be Time on +PCT, so for a typical 6 week cycle and 4 week PCT, a user would have to wait another 10 weeks after PCT to start another cycle. 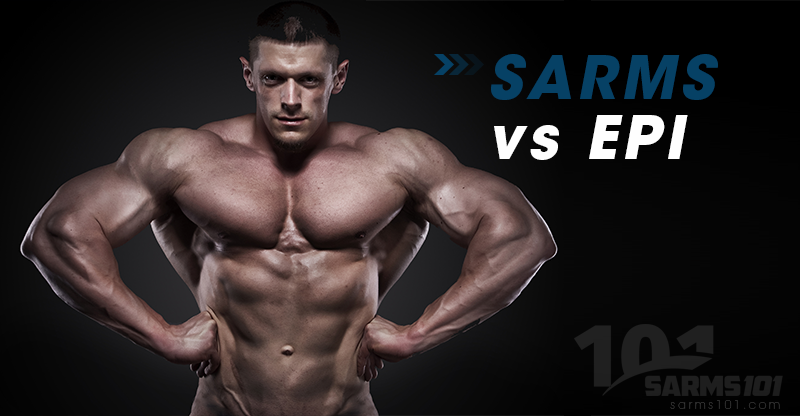 -The response rate (users who make gains from Epi) is very hit and miss, whereas Ostarine is much more uniform. In conclusion, an Ostarine run at 12.5mg to 25mg a day for 4-8 weeks would be a great recommendation for the first time user as alternative to running Epistane for a similar period. Overall net gains may be slightly lower, however the lack of sides, plethora of extra support supplementation and having to purchase prescription medication such as Nolva/Clomid for PCT are all advantages an Ostarine cycle would have over an Epi cycle. Epistane is also used as a PH/DS for cutting. Users typically report a leaning effect and if cardio is performed and/or calories are low enough, muscle mass is maintained with a good reduction in body fat. However in relation to this, it must be stated that the previously mentioned sides of back and calf pumps can particurlarly be a problem when using Epistane for cutting and trying to implement Cardio. If you’re thinking of using epi with goals of cutting, then it seems that you are likely to get the same or better results from running S4 at 50mg for a similar time period. The muscle hardening effects of S4 at doses of 50mg and higher seem to be on par with the cutting steroid winstrol. Users report that S$ use causes a real drying out of the muscle and the surrounding skin in addition to its anabolic effects, most likely due the fact that it binds with about a third of the affinity of testosterone to the muscle tissue androgen receptor. As it can be run for 4-8 weeks, it is an excellent compound for cutting purposes, allowing ample time to accrue large amounts of fat loss. However as it is slightly more suppressive than Ostarine, a PCT period following a 6week+ cycle of 50mg+ per day would be recommended.